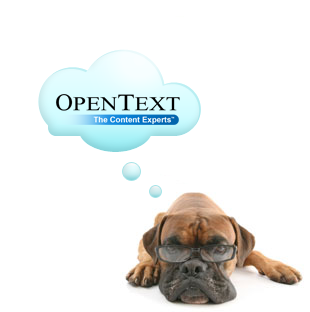 Open Text is the worlds leading independent vendor of ECM solutions. The Open Text ECM Suite is used by nearly 50,000 of the largest organizations worldwide. 90% of Global 2000 companies use Open Text. The Open Text ECM Suite brings together the content management capabilities needed to manage all types of enterprise contentincluding business documents, vital records, web content, digital assets (images, audio, and video), email, forms, reports, and more.In addition, it fosters team collaboration with project and community workspaces, forums, blogs, wikis, and real-time instant messaging and collaboration. To complete the offering, the Open Text ECM Suite also provides business process management tools that allow you to build the processes that connect your people and content. Open Text ECM Suite provides all of the components of a comprehensive ECM suite based on the modular, flexible, and integrated Open Text Content Services service-oriented architecture. This architecture allows us to put the needs of you the customer first. It provides you with the benefits of common integration layers, which enable all elements of the suite to communicate well and share information, while at the same time offering flexibility and agility to address the specific requirements of your business.